On And the War Came, Alejandro Rose-Garcia's second LP as Shakey Graves and first on Six Shooter Records, the Austin musician aims high — Ryan Adams' Heartbreaker feels like its blueprint, both sonically and thematically — and displays remarkable growth as a songwriter, guitar player and arranger without entirely leaving behind the one-man-band, lo-fi aesthetic that made his 2011 debut, the self-released Roll the Bones, such a captivating listen. 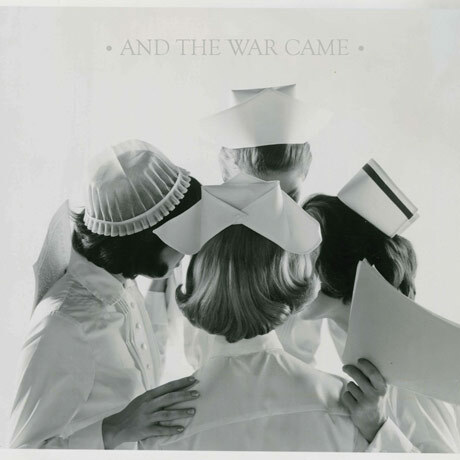 While And the War Came has little of the hiss and crackle of its predecessor, it retains much of its intimacy, immediacy and emphasis on intricate, percussive fingerpicking (think Lindsay Buckingham or José González), particularly on the gripping "Only Son" or the deceptively bouncy folk of "Hard Wired." The album also shows Graves broadening his palette by adding strings on the slow-burning "Family & Genus" and subtle electronic textures to the galloping rhythms of "House of Winston," or successfully trying his hand at gloomy, rough-and-tumble electric blues on "The Perfect Parts" and anthemic rock'n'roll on "If Not For You," on which his gravelly rasp suggests Kings of Leon's Caleb Followill's voice stripped of all of its bloated bluster.